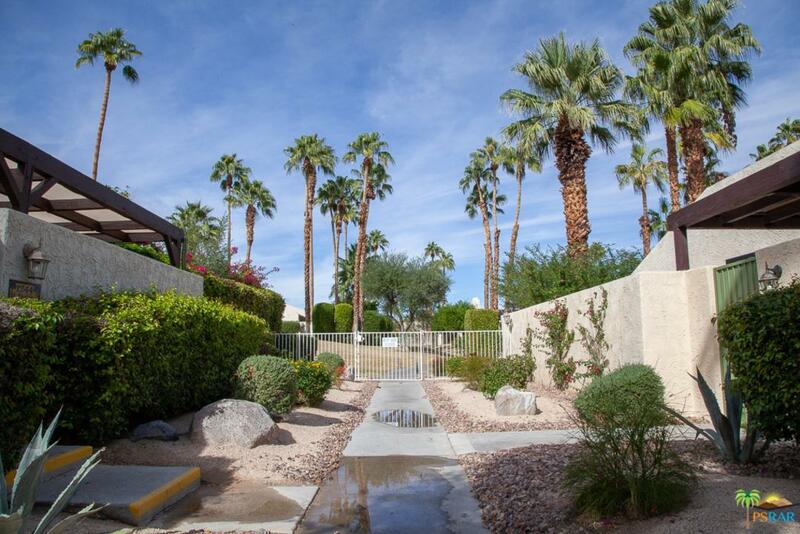 Look no further for your perfect Palm Regency condo. 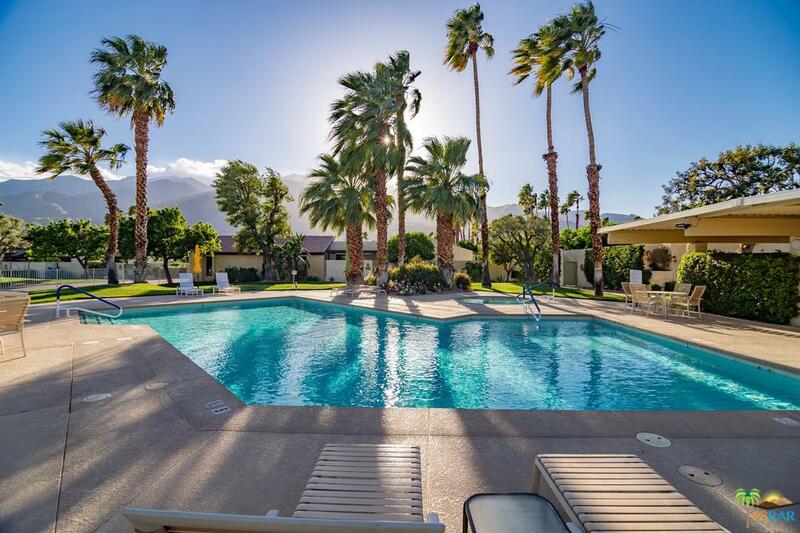 Fantastic Palm Springs location defines this high end condo. The condo offers architectural and designer finishes with private outside entertaining area. The living and dining rooms are separated by a stylish fireplace. High ceilings with skylights bathe the home with natural light. 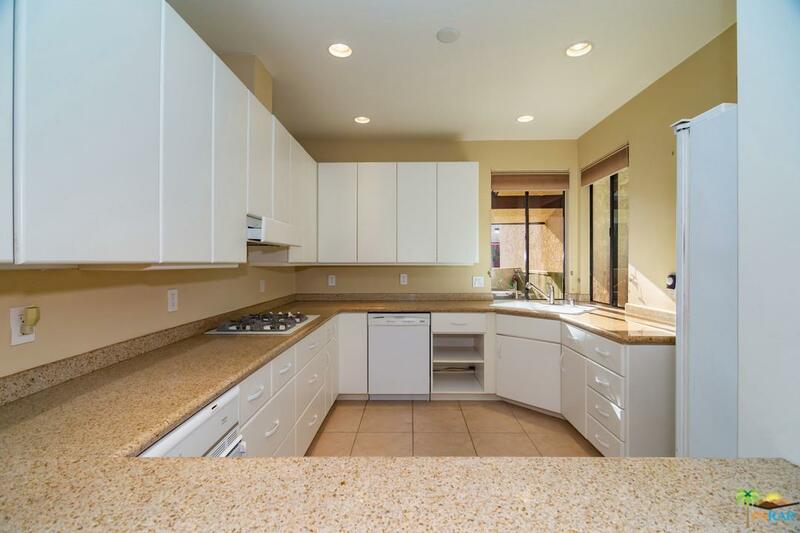 This two bedroom plus den condominium is ready for your personal touches. The huge master suite has over-sized sliders with a view of the private lush patio. Both bathrooms have glass enclosed showers. Ideal for entertaining and has a connected 1-car garage and carport. The Palm Regency has resort quality amenities that will certainly provide hours of enjoyment. 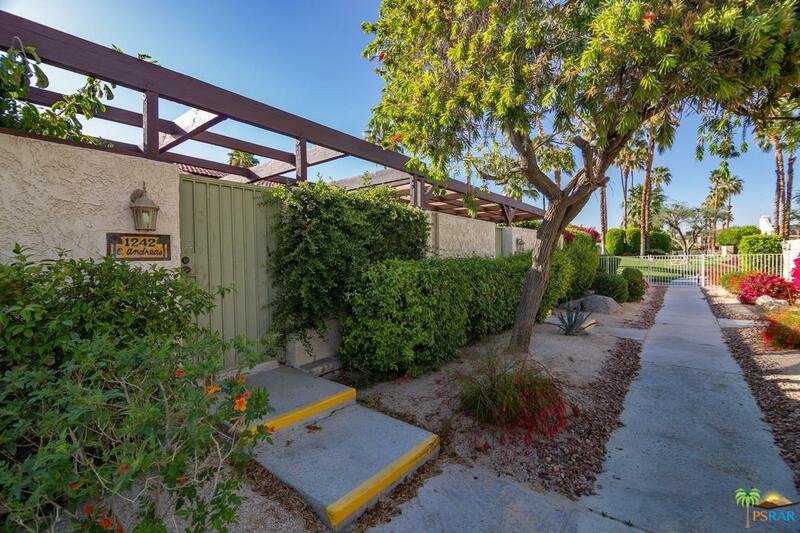 Undoubtedly one of the better locations due to it's proximity to downtown Palm Springs. Listing provided courtesy of Marcelo Lopez DRE#01909396 of The Paul Kaplan Group Inc.